We shall supply to you Bronze Scrap / Manganese Bronze Scrap / Aluminum Bronze Scraps. We are a leader in offering a best quality of Aluminum Bronze Scraps to our clients. The scrap is made available at most affordable prices in the domain. 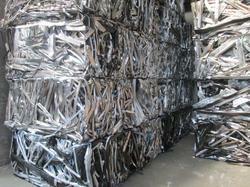 Aluminum scrap is very useful in making different kinds of sturdy items. The scrap is we render is procured from one of the most trusted and reputed vendors of the domain. We are offering our customers an excellent quality range of Aluminum Bronze Scraps. These are made by using quality raw materials under the guidance of our team keeping in mind the set industry norms. Our products are known for its quality, durability and flexibility. These can be customized to suit various needs and requirements of our clients. Our clients can avail from us Aluminum Bronze Scraps at market leading prices. This scrap is wear & tear resistant and consist of turnings of two or more alloys and clean & uncorrected aluminum borings. We believe in commitments towards the customers priorities. Due to our proficiency of this field, we are engaged in presenting Phosphor Bronze Scrap. 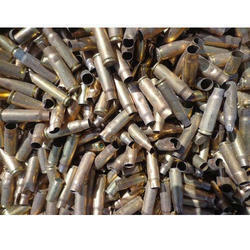 We are remarkable entity, engaged in offering superior quality Aluminium Bronze Scrap. We are offering a wide range of cut pieces that are manufactured from quality material. Our cut pieces are offered as per the the requirement of the client at affordable price. - Ship propeller scrap albc3 available regularly from bangladesh with custom duty benefit. - inquiries welcom indicating quantity & discharge port name.